Opsis art is a new and energetic gallery that opened in 2012. Representing both young and experienced artists, the gallery specialises in conceptual art practice in domestic and international spheres. The gallery embraces challenging art works across media and interdisciplinary practice. The gallery is located in the center of the cultural district, with a number of art galleries and the historic Kyungbok Palace in close proximity. In its short history, Opsis Art has developed a strong and consistent reputation for its high-quality exhibitions, and is now seen amongst the most influential art spaces in Korea. 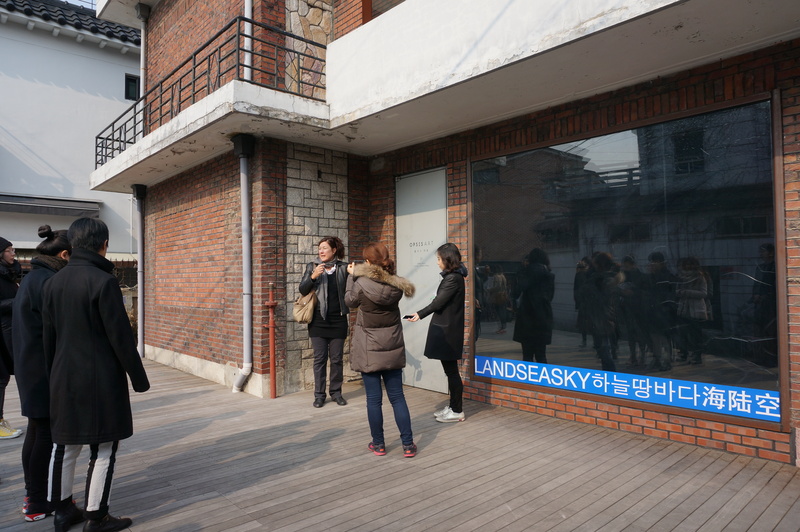 Opsis Art is an official partner organisation for MAAP’s 2014 international touring exhibition LANDSEASKY. For more information on the gallery, please visit their website by clicking here. Opsis Art는 2012년에 새로이 합류한 활기넘치는 신생 갤러리이다. 젊은 신진 작가들은 물론 연륜있는 작가들을 소개하고 있으며, 특히 옵시스아트는 국내외의 실천적 개념 미술 분야에 초점을 두고 있다. 갤러리는 미디어아트 및 여러 분야의 제휴를 통한 실험적이고 도전적인 예술을 포용하고 있다. 가까이에 경복궁이 자리 하고 주위에 많은 갤러리들이 있는 삼청동 문화 지구의 중심에 자리하고 있다. 비록 그 연혁은 짧지만, 옵시스아트는 수준있는 전시회 개최를 통해 확고하고 견실한 평편을 꾸준히 받고있으며 한국에서 가장 영향력 있는 갤러리중 하나로 자리잡아 가고 있다.